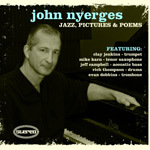 John Nyerges lives in Rochester, NY, and has been leading his own group, writing music, and performing as a jazz pianist since attending college at the Eastman School of Music. His group has performed at the Alexander Jazz Festival, Canandaigua Arts Festival, Conesus Jazz Festival, Oswego HarborFest, the Rochester Lilac Fest, the Rochester International Jazz Festival and in nearly every other venue in Upstate New York. In 1990, he was the pianist/arranger for the Syracuse Urban League for a series of concerts. His Quartet has appeared at “Live at Hochstein”, on WXXI 91.5 FM. He has backed up R&B artists like The Coasters, the Shirelles, and Francine Reed. John also toured with Rochester’s jazz-funk group Cabo Frio, working at national hot-spots such as Blues Alley in Georgetown, the Tralfamadore Café in Buffalo NY, and the Caravan of Dreams in Fort Worth, TX. John was a guest artist at the Jazzwinds Jazz Fest on Lake Erie for several years, performing with sax great Joe Lovano, trumpeter Dennis Dobson and saxophonist Michael Pedicin, Jr. 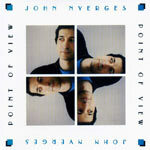 In 1991 he released his debut CD, Point of View, on NBR. (Listen and purchase at iTunes or CD Baby) It became the “#1 Requested Album” on WGMC for several weeks and made the “Top 40 Contemporary Jazz albums of 1992” list. It is also heard locally on The North Coast 105.9. It has been played on numerous other radio stations around Upstate New York as well as other parts of the country. It was critically acclaimed by Chuck Berg of JazzTimes magazine. Chuck Berg, JazzTimes, described the CD as having “a variety of arresting poses” and “a welcome change of pace”. Jack Garner, Rochester Democrat & Chronicle, said it was an “impressive debut” and that John is “an intelligent, lyrical pianist”. The John Nyerges Quartet performed on the main stage at the Jazz Fest in Syracuse, NY, in 1992-1993. Ray Boyce, Syracuse Post-Standard, stated that “John … is a protean pianist” and that he had “terrific technique and marvelous conceptions”. 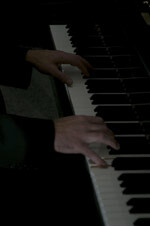 Jeff Simon, Buffalo Evening News, called John a “superb pianist”. His group has also performed at the High Falls, Aqueduct Park, and at the 1995 & 1996 Time Warner Fests in Rochester. In 1988, John was hired as the pianist for conductor/trumpeter Jeff Tyzik in concerts with the Buffalo, Rochester, Syracuse, Utica, Erie, Northeastern Pennsylvania, Stamford & Hartford CT, and Wilmington, DE Orchestras. Guests performed with have included Doc Severinson, Allen Vizzutti, Don Potter, Linda Hopkins, Chris Vadala, Gerry Niewood, Arturo Sandoval, Eddie Daniels, Ray Ricker, Tony DiPaulo, Steve Lipia. New York Voices, Michael Civisca, Mark Kellogg, Bruce Johnstone, Five Alive, and Monica Mancini. He first performed with the RPO in Vail, CO, in 1997 & 1998. 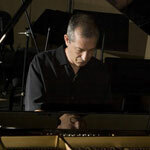 He was Jeff Tyzik’s pianist in his big band, small group, and in his recording studio. He is part of the highly-acclaimed rhythm section that has included Rich Thompson on drums (more recently Dave Mancini) and Jeff Campbell on bass. One of John’s arrangements on his own composition from the Point Of View CD called “A Moment in Time”, was performed by the RPO in 1998. He spent the two previous years with “Doc” Severinson & the Buffalo Philharmonic Orchestra. In 1995 he received a Teaching Assistantship Fellowship, culminating in a Masters of Music in Jazz Studies and Contemporary Music at Eastman in 1997. 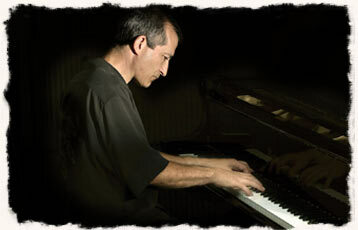 While there he studied arranging with Fred Sturm and piano with Tony Caramia and Mike Cain (of Jack DeJohnette’s Band). He was a soloist with the New Jazz and the Eastman Jazz Ensemble and appeared on the Take The Next Step CD. He performed with the legendary Joe Henderson, Maria Schneider, Benny Carter in the Eastman Theater and with Bob Brookmeyer at Town Hall in New York City. In 1996, John performed with drumming-greats Steve Gadd in Eastman Theater and with Peter Erskine at Eastman’s Fall Jazz Festival. He is part of the jazz trio on Phill Freeman’s CD, and can be heard as the jazz piano soloist on the Rochester Philharmonic 75th Anniversary Pops CD, and the Holiday Pops I & II CDs. John was a guest soloist on Nancy Kelly’s 1997 Amherst Records CD Singin’ & Swingin’ and on the Rochester Chamber Society’s Chamber Jazz CD. 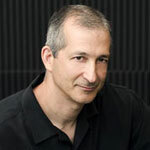 John is currently on the faculty at Monroe Community College where he heads the Jazz Instrumental program, where he directs the Jazz Ensemble and Small Combo, and teaches Recording Techniques, MIDI, and Jazz Improvisation/Theory. He teaches the Jazz Piano Master Class and a Jazz Performance Workshop (combo) for Eastman’s Summer Jazz Camp faculty (since 2000). He has been an active clinician at elementary, high school, and colleges in Upstate New York since 1980. In 2003, 2004, John performed in the RIJF (Rochester International Jazz Festival) with saxophonist Vince Ercolamento and vocalist Victoria Corrigan, respectively, and in 2007 with NYC saxophonist Dave Glasser and also with Rick Holland/Evan Dobbins Little Big Band (regular member). In April 2007, John performed with with Rick Holland/Evan Dobbins Little Big Band with guest artist jazz hamonica/vibraphonist Hendrik Muerkens. In June 2008, John appeared with 3 bands at RIJF: Pat & Joe LaBarbera and the Eastman Jazz Ensemble, the New Energy Jazz Orchestra (NEJO), and the Herb Smith Quintet. June 19, 2009 John leads his own Quintet with the personnel from his 2008 CD Jazz, Pictures, & Poems. John recorded with and is a featured artist on Sands of Time with NEJO—The New Energy Jazz Orchestra—, led by Dr. Carl Atkins & Dr. Jon Kruger. Another 2008 CD he is on is The Trumpet Shall Sound with leader/trumpeter Herb Smith. John appeared on a compilation CD playing “Tranquility” with NYC saxophonist Dave Glasser. He also performed in Glasser’s Quartet at the RIJF, and is on his 2010 CD release, Evolution (John contributes a different performance of his original tune, “Monk’s Blues”), on the Here Tiz music label. John’s 2nd release as a leader, released June 2008, is Jazz, Pictures, & Poems (Listen and purchase at iTunes or CD Baby). It features Clay Jenkins (trumpet), Rich Thompson (drums), Jeff Campbell (bass), Mike Karn (tenor sax) and Evan Dobbins (trombone) with all new originals by Nyerges. This CD contains art photography by (brother) Paul Nyerges and poetry by (daughter) Elissa Nyerges. John played in Vince Ercolamento’s Quartet at the 2008 Rochester International Jazz Festival and again in 2011 at the Rochester Club to a packed house. John led his own Quintet at the 2009 RIJF. In 2010, John and Vince volunteered to play in a concert to raise money for Haiti, and later in the year for cancer charities. John continues to play at select charity events each year. John was a featured soloist again at the 2010 XRIJF with NEJO big band and the herb Smith Quartet. John recorded as a feature soloist with the NEJO on their second release - Celestial Boogie (2011). In 2012, John was featured on some acoustic piano solos (and co-wrote one tune) on great funk originals by Larry Garlington’s Crossing Jordon. He also served as as engineer at his NBR Studios, mixing and mastering Rich Thompson’s Trio CD, Generations (Origin records 82616). 2013 saw John’s “Impetuoso” appear on a “Fair trade Music Rochester Compilation” CD. His Quintet performed 2 shows at the Rochester Club at the XRIJF in 2013. John’s Quartet is a regular in the Immanuel Baptist Jazz on Friday’s concert series. The 2018-2019 Rochester Philhamonic Orchestra Season marks John’s 25th year as the Jazz Pops pianist with Jeff Tyzik conducting. John has been busy with students in his college music program at Monroe Community College, completing 20 years in 2018. His students have gone on to become very successful in the music business as conductors, classical and pop composers, performers in national groups and as teachers at every level from elementary schools to colleges. 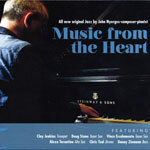 In 2017 John released his 3rd CD as a leader, Music From The Heart. This and the 2 earlier CD’s can be found on iTunes, Spotify and other other streaming services, as well as physical CD's available from iTunes & CdBaby. John appears as a regular at the RIJF (Rochester International Jazz Festival) either with his own group, the Herb Smiths’ Quartet, the Vince Ercolamento Quartet, the Doug Stone Quartet, and every year with the New Energy Jazz Orchestra (NEJO). He is also active mixing and mastering more CD's besides his own projects for various labels including Origin Records. This year, 2019, he will release his 4th CD of originals tentatively entitled Another Time. It will have a mixture of jazz, latin & funk and will have some surprises with some avant guard soloing. Watch for this release!